Hardly a few months have gone by since Google for the very first time, launched its official flagship Tablet of 2012, the Google Nexus 7 manufactured by Asus and now we are hearing strong rumors about a possible incarnation of the next Google Tablet. This time around, Google are seeking to partner with Samsung (yet again) in developing a 10″ wonder tablet which is currently just known as the “Samsung Galaxy Nexus Tab”. One of the major eye-candy attractions of the new device would be the brilliant display with both the companies working hard on bettering (and beating) the pixel density of the Apple iPad’s Retina display. NPD DisplaySearch analyst Richard Shim says that, according to supply chain information, the upcoming tablet will feature a display of 2,560 x 1,600 at 10.1 inches giving it a pixel display of about 300 PPI. This resolution would make it even higher than the new iPad which has a 9.7 inch display at 2,048 x 1,536 (264 PPI). Currently, the Tab market has been taken over by the likes of a few budget devices including the Nexus 7, Amazon Kindle Fire and the Barnes & Noble Nook Tablet, or slighlty higher end devices like the Samsung galaxy Tab Series, Motorola’s Xoom and the HTC Flyer to name a few whereas the new Nexus tablet from Samsung and Google would only be aiming for the premium market. Samsung and Google are in no ways strangers to each other and with recent successes behind the Google Nexus S and Galaxy Nexus (both manufactured by Samsung) smartphones, Google would have absolutely no hesitations in partnering up with the South Korean tech giants once again. 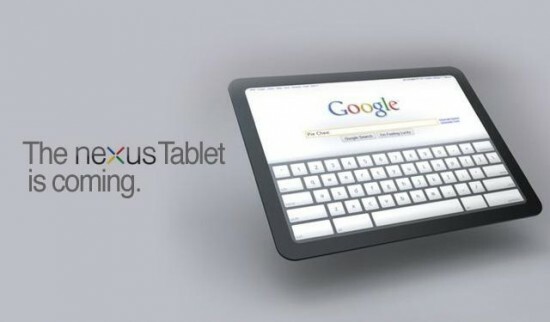 Further updates and developments on Google’s next flagship tablet are highly anticipated and anxiously awaited. With that said, I hope Google don’t keep us waiting for too long. Agreed ? The Samsung Galaxy Music - Entertainment. Guaranteed.